I love to travel… but more than anything, I love to come home to my beautiful island of Sanibel. Sanibel is like getting to finally sleeping in your own bed or taking your first good breathe of fresh air. Yep. Super Sheller Clark found this beautiful ALPHABET CONE last night at the Lighthouse beach. We just couldn’t wait any longer to see our own contented beach. Clark was looking at this CONE like it was a long lost friend. And live KEY HOLE SAND DOLLARS. Did you notice I put the whole common name of this SAND DOLLAR? Sine we found those cutie tiny SAND DOLLARS in Thailand, I’ve been trying to figure out what type they are… when I realized that I’ve never said which ones ours are that we find here in SouthWest Florida. KEY HOLE SAND DOLLARS! In the next photo of this same LIGHTNING WHELK, I wanted show you how much lighter the other side was but do you see that little string on my left hand ? While on our trip to Thailand, we were blessed by a Monk who wrapped this string with a knot around our wrists. I was told it was called a “spiritual line” and we are to wear it until it falls off and not to cut it off. It is for good luck, good health and to remind us every day that today is special so live it that way. I immediately thought of those strings I used to tie around my finger to remind me to do something. So every day now when I look at this string on my wrist I am reminded that today is a gift. The Buddhist Monk blessed us with this spiritual line bracelet but I hope it rubbed some luck onto these live MOLLUSKS and SEA LIFE to give them even a longer, healthier breeding life. PS- I’ll show lots of more photos of Thailand soon! Welcome back Pam and Clark….Wow lots of beautiful live shells. The manatee video is so cool. Would love to see that. Not sure when I will get back to Sanibel…maybe this winter! Welcome back Pam! What a welcome the sea provided for you and Clark! You live in paradise! Welcome back ~ thanks for sharing all of your wonderful adventures and shells no matter where you are. 24 more days til Sanibel yippeeee!! I cannot imagine wanting to be anywhere else but Sanibel. Sometimes that is the best part of traveling- coming home and appreciating what your life there. Glad you got back safely and that the two of you had a good trip. Thanks so much for the post and the video. I miss Sanibel when I am not there so your posts are my little mini trips to tide me over til I am there again. WOW! That is an amazing video…I guess I didn’t realize Manatees ventured out into open waters…what a show…looked like a whole herd of them. How exciting. Am so glad you and Clark had a very special blessing whilst on your vaca to Thailand. Sanibel is magical and I am so happy to have you back! Cpt. 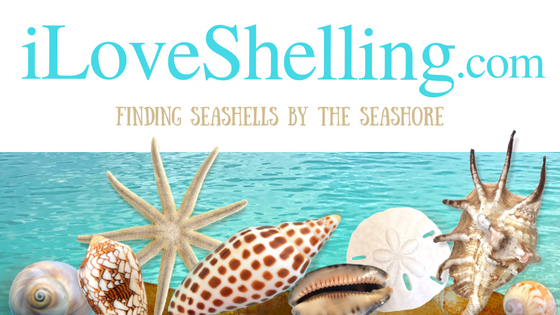 Brian did a great job but “I Love Shelling” isn’t the same without you! Welcome home, the Manatees agree. They gave you a special welcome home too. I’ ve been watching the webcams and tide charts and I don’t know how Sanibel could be more appealing than it is right now (except maybe a good storm). The calm water is beautiful. I hope to get back soon! Oh my, Oh my, Oh my!!! Yes indeed-y, you received an amazing “welcome home”. All those gorgeous live shells and the manatees too!! Amazing! welcome home :) hope you & your husband are back on track with your sleep schedule! I love sand dollars & would love to find some the size of what you’re holding! Your note about “key hole” sand dollars & specific species names made me wonder & I’m doing some research on them. I was taught the common name of the one you’re holding is 5 slotted sand dollar, so hearing key hole made my eyes & ears perk up with excitement :) I guess I’m easily amused…… So I shall spend the coming days researching species of sand dollars & their names. Did you find out the name of the “tiny sand dollars”? I googled Thailand sand dollars for fun and came up with a picture of a Living heart urchin, Brissus laticarinatus. (from the east coast of Thailand). It has very short spines and a puffy shape and resembles what you have. Could it be the same? I saw that too but I don’t believe that’s it… I could be wrong but ti just doesn’t look the same and there’s not much more on the web about them. Thanks for trying to help! I’d love to know what you come up with! I believe those are actually small sea biscuits, in the clypeaster species. I’m researching those along with the key hole sand dollar for proper identification. It will take me some time, but I’ll report back with my findings. Love the thought of the “spiritual line”. We all need good luck, good health and to be reminded that everyday is special & to live it that way. Awesome post! Loved seeing all the live shells and the cool video! Hope your bracelet “lives” a long time, Pam! Thanks for all the great info today! I loved seeing the manatees! We visited once when it was uncharacteristically cold & were told that they were all clustering up near a power plant for the warm water….but that this area was harming them. So nice to see them thriving & splashing around! What fabulous live shells! And how great to see the lovely manatees! Sea cookies! I just found the common name for them but thats as far as I’ve gotten. There’s really not a whole lot written about them that I can find- dang! Oh Pam….how I miss my Sanibel! We couldn’t go this spring and it was the most disappointing decision we’ve ever made, I think. :( So seeing your photos and videos and hearing the water rolling on shore…..it’s just complete bliss for me. We WILL be returning next April for sure. Nothing is going to stop me from returning to my “second home”. :) I just finished reading “Gift from the Sea” for the umpteenth time….and Sanibel is truly calling to my heart….. ♥ You are so very blessed to be able to live there! Great to see you guys back home. Spectacular critters! The manatees are always fascinating… truly innocent creatures. Question: is there a way we can upload pictures for you to see? What a gorgeous king’s crown! For some reason I never find them…I mustn’t be looking in the right spots. How exciting to go to Thailand. One of my guilty pleasures is watching Survivor and when they walk on the beach I’m always trying to see if there are any shells there, I wouldn’t be a very good player – I’d be looking for a shells instead of the hidden idol. The live moon snail is just amazing and of course I love King’s Crowns. I’ve been checking in on Captain Brian’s blog for a while, I love his photos of the driftwood and how I love those tropical flowers. Welcome back both of you.